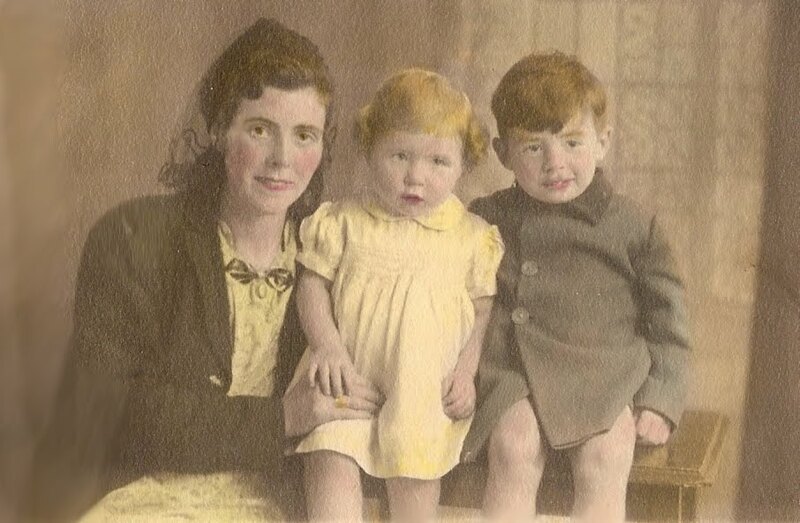 Bertha O'Connor with her two children Eileen and Raymond, 1942. Bertha was to die a few years later in Craig-y-nos where both Raymond and his sister were patients. He remembers living in a "big glass building" but only when he received a copy of "The Children of Craig-y-nos" did he realise that it was the same place his mother had ended her life in. Following her death he was sent to relatives in Liverpool. Many months passed before my sister Eileen joined me and I remember it was Christmas time. The war was still on and the food I was given was next to nothing as I was always hungry, mostly bread. The only person who showed any kindness was the next-door neighbour Mrs. Quinn who ran a grocers shop, she gave each child an apple, orange and a stocking with chocolates. I must not forget the workmen who worked at Camellaird shipyard who on their way home. They used to give me their leftover sandwiches, which I shared with my sister and stepsisters. This was the pattern of life to follow for my sister Eileen and myself for our main source of food was going through the bins. great deal of misfortune ahead of her. She was neither a Walker nor an O'Connor and totally deprived of love all her life yet she admired and worshipped me as her big brother. 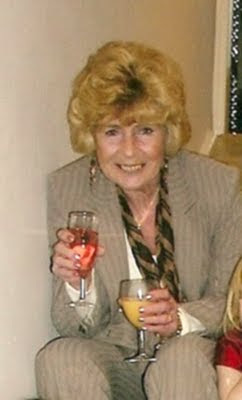 This I found out at Clatterbridge hospital, Cheshire shortly before she died of cancer at the age of 50. My father started work at the shipyard, the only thing that altered for Eileen and myself was we got 2 beatings instead of one because after Kitty Walker had told him what we had or not done we got another hiding off him. It was round about this time that I had a strange experience, during the night I was disturbed by a lady who stood at the end of my bed beckoning to me and when she left the room I ran down the stairs, woke my fathe and told him of the incident. As you can imagine this was not a wise thing to do, he dismissed me and told me to go to bed and not to be so stupid. I slept on the staircase for the rest of the night, as I was frightened. Birkenhead. I had to go every 6 months for a check up and I wondered why my sister never went. It was during one of these visits that the doctor found it necessary to send me to convalescence in Southport for three months. When I was about 11 years old the schoolteacher called Mrs. Allroyd at Ionic School took pity on me and gave me a pair of leather boots, which were studded on the heel, and toe and I shall never forget this act of kindness. What does puzzle me is why nobody ever took any action against the conditions and the cruelty that prevailed in this house that we lived in. The beds, bedding and the walls of the house were infested with fleas, we were bitten from top to bottom and we were covered with scars from the belt, shoe and bamboo cane beatings. Kitty Walker used the steel brush to beat Eileen over her head whilst she brushed her hair. It was not all gloom and doom. Like all children you always find time to play and enjoy yourself, as adversity is not a thing you think about. The bombed houses became a playground a place for hiding and full of adventure as I had a vivid imagination. The local pub was a focal point for all the characters that lived in the district. At the weekend it was a hive of activity and as children we used to watch the grownups singing and dancing in the parlour. There was a passageway between the parlour and the snug where all the old ladies gathered to gossip and men played darts and stood by the bar drinking. We used to do pretend boxing outside the pub as the drunks came out and threw pennies at us in the middle of the road as there were no cars about in them days. In the weekdays it was quiet except for the snug where the old ladies had their heads together gossiping. There was Cissy Walker head of the pack with Mrs.Shields, Mrs.Laverne, Mrs.Hughes and a few others who were my source of income as I was running messages for them by placing bets at the illegal bookies and collecting any winnings. When they did win their bets, they gave me some extra money. They also sent me to the pawnshop, one was on St.Paul's Road and the other was on Old Chester Road near Green Lane. I took bundles of bedding and their husbands suits and shoes on a Monday and fetched them back out on Friday morning so their husbands could use them at the weekend. I don't think the men were aware of this. Walker and my dad's face when they returned home drunk to see the panda running around, I knew what to expect so I ran away when I heard them say 'what has he done this time’. All the time I lived with this family, I tried running away at every opportunity, as I wanted to go back to my family in Wales. I took a plan of action when I found out that two boys who broke into a corner shop were sent to work on a farm in Wales as punishment. They told me tales of how they looked after animals on the farm, so at every opportunity I used to break into shops, play truant in the hope of being arrested and sent to Wales. replied 'I want to go away' as this was my plan all the time, to get away from the house of horrors. I was sent to St.Thomas Moores in Southport. 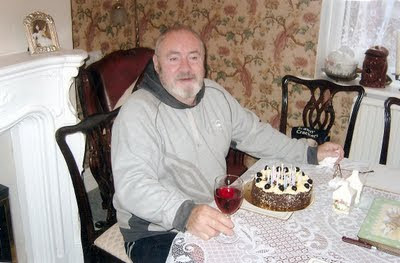 I was released at the age of 15 and returned to 71 St.Paul's Road, Rockferry but things had not changed. I was given my first job by the social worker as a coffin maker and when I received my wages at the end of the week, I was told by my father to hand over the wages to Kitty Walker. The meal situation was no different as Kitty Walker was playing the black market with the ration coupons as she had always done and when I finished work and sat down in the chair I was told, why don't you go out, you are always under my feet and when I did go out it was always, 'where have you been, don’t you know what time to come in'. Raymond is married with three children and two grandchildren. He lives with his wife in Gainsborough with their eldest son and is kept busy doing maintenance, decoration and repair work for all his family. Raymonds memories are very true I know because I lived next door to his family. Bill.